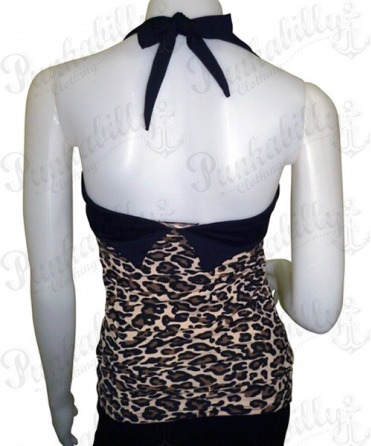 Express the beauty of your body with this leopard printed tank top. 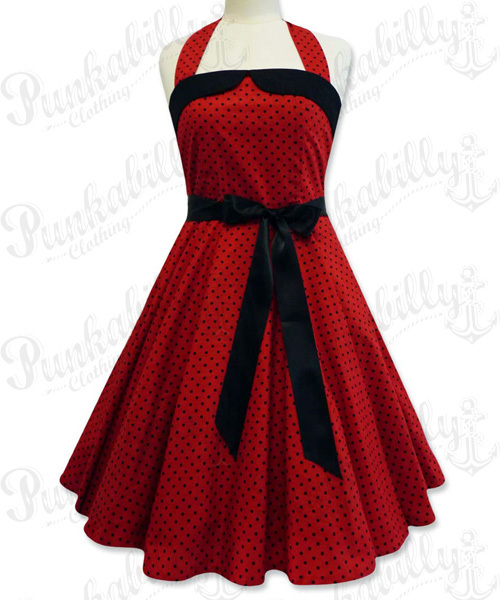 This rockabilly piece comes with some black details and it ties behind your neck. 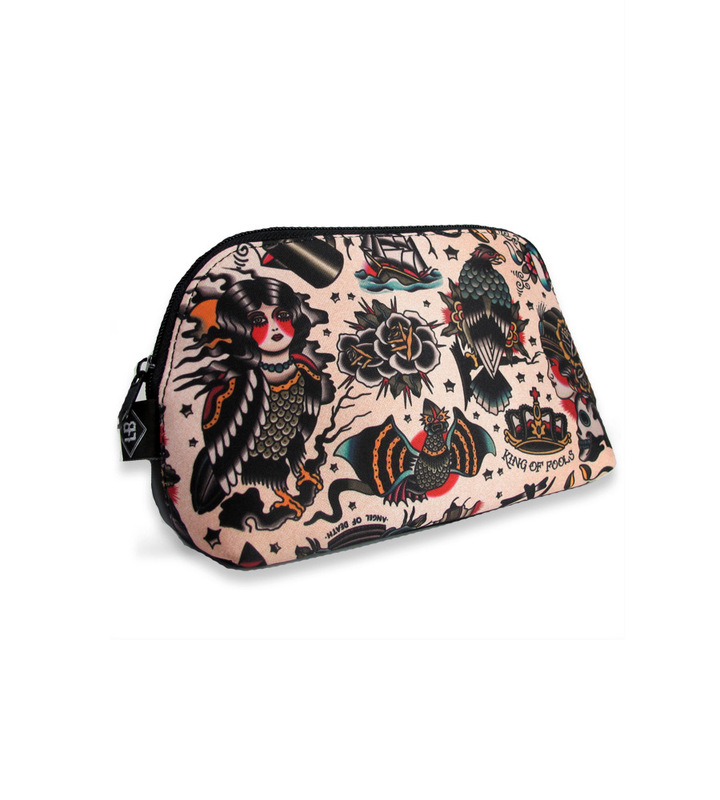 Let this vintage model extract all of your wild punk rock spirit and provide you the best of animal inspired fashion. Get rebellious and crazy! Love this top. It is a cotton material so it's very comfortable and has stretch to it to make the perfect fit.